Adding fiber to your diet, or using fiber supplements, can be beneficial for your health. Dietary fiber lowers blood cholesterol levels, reduces your risk for cardiovascular disease, and helps to stabilize blood glucose levels. A diet naturally high in fiber includes whole grains, fruits, and vegetables and is low in fat and high in other nutrients. Consuming too much fiber can cause adverse effects such as cramping, constipation or dehydration. Too much fiber in your diet causes your body to pass minerals iron, zinc, magnesium, and calcium without absorbing them. These minerals are important for blood formation and bone health. You may be getting adequate amounts of these minerals in your diet, however excess fiber intake can interfere with absorption. If you are consuming too much fiber, you may need to take a multivitamin to replace lost nutrients. Consult with your physician before adding vitamins to your diet. The average adult American consumes around 10 to 15 grams of fiber each day. Adults should get around 35 grams of fiber each day. Consuming more than the recommended 35 grams in a short amount of time can be unpleasant for you. Add more fiber to your diet in small steps to avoid adverse effects. Getting too much fiber in your diet too quickly can cause undesirable symptoms in your gut such as bloating, gas, and cramping. Gradually add fiber to your diet over 6 to 8 weeks to avoid or limit unpleasant symptoms. Adding excessive fiber to your diet in a short amount of time can cause constipation. 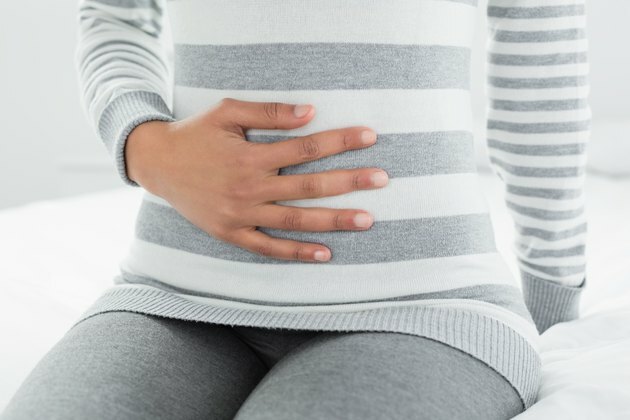 It is normal if you do not move your bowels for one day, but if you experience more than two days of constipation, consult with your physician to see if a laxative or enema would help you. Excess fiber can also cause diarrhea. Your body will pull the water it needs to pass the fiber out of your body. The end result is unpleasant diarrhea, which can ultimately lead to dehydration. These symptoms should disappear on their own after a few days of your body adjusting to the increase in fiber. Adding fiber supplements suddenly to your diet can irritate your gut. Various types of fiber supplements can make it easy for you to consume both soluble and insoluble fiber. Soluble fiber slows digestion and may lead to constipation. Insoluble fiber speeds up digestion and can cause diarrhea. Fiber supplements should only be used under the direction of your physician.